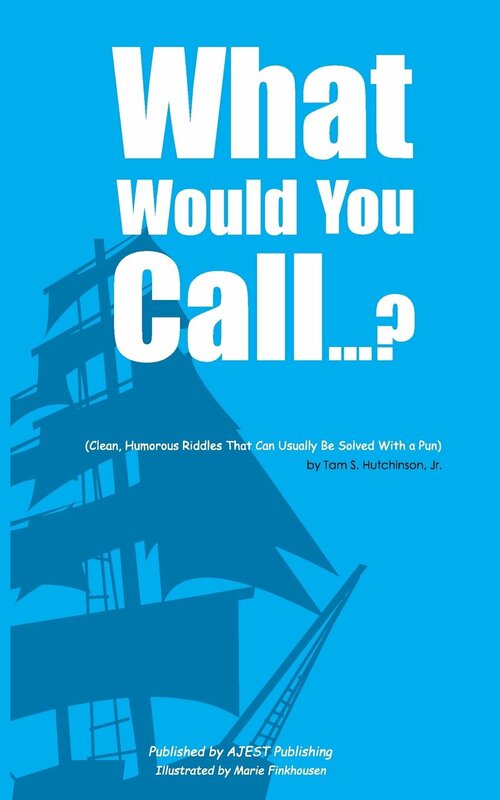 "Book Reviews by Real Book Readers"
Title: What Would You Call…? 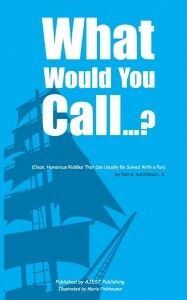 What Would You Call…? is a clever book in concept and the illustrations add immensely to the project. The humor is simple and obvious and at times quite enjoyable. However at other times, it feels like an old-time comic routine from a show in the Catskills – each pun waiting for that drum roll or riff – Ba DUMP bump! This will appeal to those who like this brand of humor, but perhaps not to a wide audience. At times it’s very much a thinking person’s riddle that is presented (thanks to the author’s wide-ranging knowledge). How he ever thought of all of these riddles is a major accomplishment in itself. But in spite of this, at times it borders on too silly. Actually, some of the riddles are a bit groan-worthy and nonsensical: “What do you call it when a person doesn’t eat much plastic?” Really? Even though the answer may be ok (a low-card – not low-carb diet), the bigger question is “What kind of person eats any amount of plastic and why was this joke relevant?” Another riddle that is too much of a stretch at humor is: “What do you call a mystery dish served at the beginning of the meal which contained Macintosh?” Apple teaser is the answer (play on appetizer) but how does one relate to the question, which then causes it to become only marginally funny. Yes, it’s meant to be humorous and not deadly serious, but one would think there needs to be some sense of reality to make the reader relate to it. Word tricks like trading peanuts for penance, cussings for cousins, playing the filled for field – if the reader is willing to suspend any sense of reality and just go with it, maybe this works. But how many will do that is up for debate. The lesson to be learned from the project is that there can be too much of a good thing, especially when it stops being very good. It feels as though all the best material was placed at the beginning, and the middle to end were forced. This causes the book to become repetitive in nature and a bit tedious. This is (hopefully) meant as a book to be consumed little by little and not all at once, which does help the situation. High marks to the author for out-of-the-box thinking, but at times it becomes clear that just because he thinks it, doesn’t mean it needs to be written down and shared. There are plenty of good riddles to make a fulfilling book, rather than pushing for something that really doesn’t add to the overall project. With an objective edit, and if marketed as a gift book, there should be readers for this book, albeit probably an older audience, since they may remember a time when humor was this obvious in nature. Sign up for our mailing list by filling out the form below.